The leaner portion from a whole brisket. Should be cooked slowly at low temperatures to maximize its tenderness. 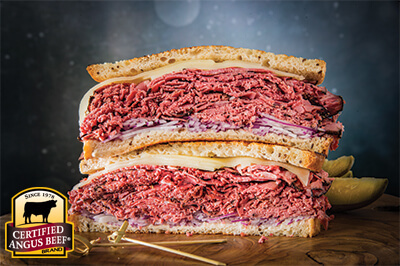 The traditional cut used for corned beef, and popular as smoked barbecue. 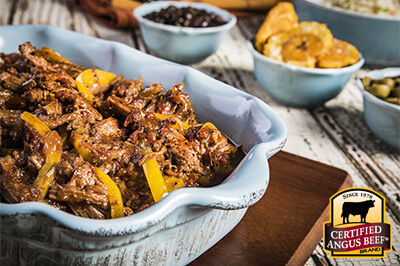 Brisket slowly braised in a Dutch oven or slow cooker until tender. 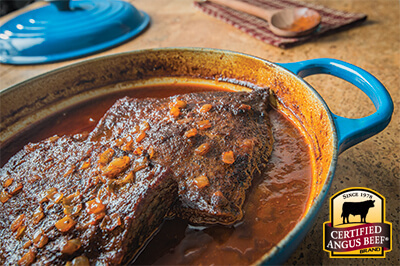 An easy recipe with homemade BBQ sauce packs a brisket with flavor. Combine salt, black pepper, garlic powder and smoked paprika. Rub evenly into brisket, wrap with plastic wrap and refrigerate overnight. Preheat oven to 350ºF. Place brisket, fat side up, in Dutch oven and roast uncovered 30 minutes; flip and roast another 30 minutes. While brisket cooks, whisk together vegetable juice, vinegar, brown sugar, Worcestershire, onion powder and cayenne; mix in onion. Transfer brisket to a cutting board. Skim excess fat from braising liquid as desired. Let rest 10 minutes before slicing thinly across the grain. 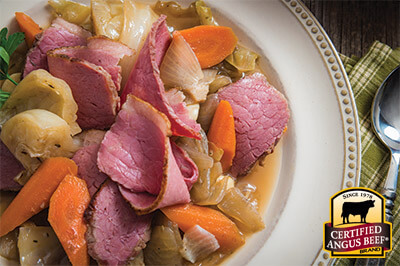 Serve topped with warm braising liquid.